“There is a saying that ‘if you are bitten by a cobra there is hardly any cure’. The situation of the Inspector General of Police (IGP) violating the law and committing an act of torture appears to have the same effect,” says the Asian Human Rights Commission. There is a saying that “if you are bitten by a cobra there is hardly any cure”. The situation of the Inspector General of Police (IGP) violating the law and committing an act of torture appears to have the same effect. This is not because of a defect of the Law in Sri Lanka. It is because of the manner in which the Law is being enforced. A video showing the IGP holding a police officer by his collar has been seen by many people after it was shown on the Internet. As a result, the public is alarmed leading to media discussions about the incident. However, up to now no legal action has been taken against the IGP. Given the normal practice in Sri Lanka there is hardly any reason to think that any action will be taken in the future. This situation raises a number of serious legal issues. The Law in Sri Lanka is based on the fundamental premise that no one is above the Law. This fundamental tenet was established through centuries of struggle for the displacement of the Monarchy and to establish Parliamentary Democracy. That no one is above the Law is the foundation on which the whole legal system stands. Every attempt to undermine this principle is a serious threat to the legal system as whole. The Sri Lankan Police Institution is the primary institution that has been created to protect the Rule of Law. There is no other function that the Police, as an institution, have to accomplish which is outside this fundamental obligation. Every function that the Police are expected to carry out, can be justified only on the basis of its duty to protect this fundamental principle. Thus, the very existence of the Police Institution depends on the enforcement of the Law that states that everyone is equal before the Law. The offence that the IGP is alleged to have committed is torture. Torture was recognized as an offence in Sri Lanka by the Convention Against Torture and Other Cruel, Inhuman or Degrading Treatment or Punishment Act, act No: 22 of 1994. Under this law, the punishment for the commission of an act of torture or ill-treatment is seven years imprisonment and a fine of not less than ten thousand rupees. Up to now a number of police officers have been found guilty of committing torture and have been punished under this Act. For many other officers their charges are pending in the Courts. The fact is that many police officers have been punished under the CAT Act but the highest officer, the IGP, has not even been investigated for his alleged illegal behaviour. The public revelation relating to the commission of the same offence revealed a double standard in the enforcement of the Law. The actual question that has arisen is similar to the proverbial question of who is to bell the cat? Who has the right and duty of care to investigate the highest officer of the policing service if he is alleged to have committed a crime? There apparently is no answer forthcoming. 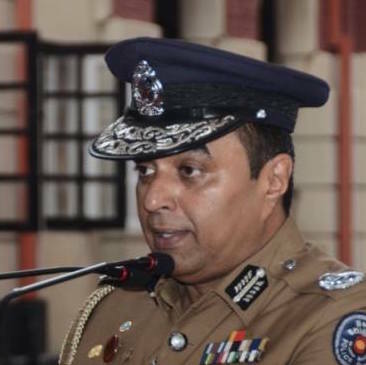 However the responsibility for the actions of the IGP lies with the President, the Prime Minister and the Government of Sri Lanka. The Government itself exists only on the foundation of Law. If the Government fails to takes steps to enforce the Law it puts the entire legal system in jeopardy. This issue of enforcement of the Law affects the good name of the policing service whose sole justification for its existence is the enforcement of the Law. This issue should be of concern to everyone who wants to see that the Sri Lankan State carries out its fundamental obligation to enforce the Law. This includes punishing the alleged perpetrators and not affording them special consideration because of their higher status. The Joys Of Country Living!